If you are not feeling your best it would be wise to test thyroid function. Hypothyroidism is one of the fastest growing health conditions we are seeing today. Lethargy, depression and weight gain are the most common symptoms (1). It has been estimated that 27 million people in America struggle with some form of thyroid disease and up to 80 percent of hypothyroidism cases are autoimmune based (2). 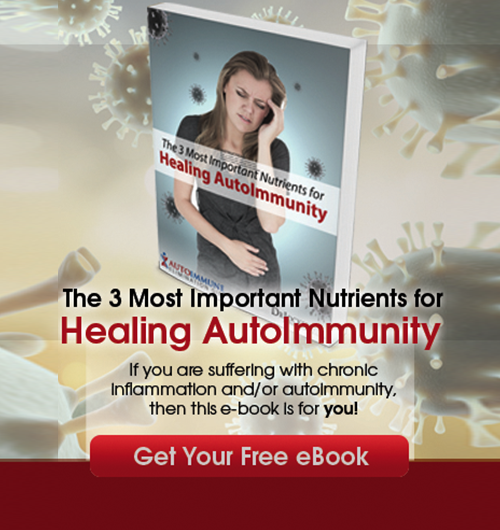 However, mainstream healthcare is not even testing for autoimmune indicators the majority of the time. This article will go through how to properly test thyroid function. Through personal experience, I have found that antibody (autoimmune) testing is only done upon persistent request. 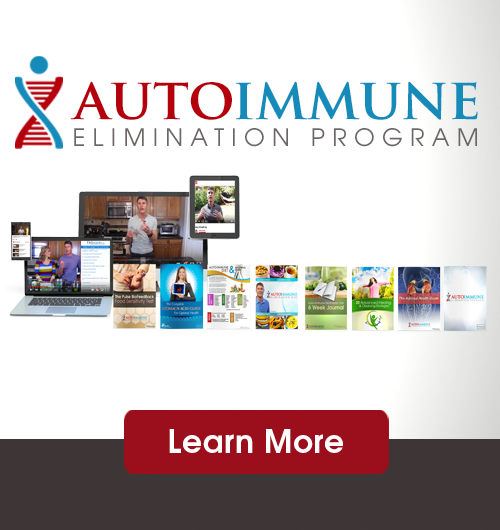 The causes and treatments for an autoimmune condition versus a functionally underactive thyroid are different. Therefore, having a clinician to properly test thyroid markers for these differences is extremely important if we want treatment to be the best. My clients are exhausted with their conventional doctors and unproductive thyroid care, or lack thereof. Many of them come to our website and programs looking for answers. They wonder why nothing is changing, what triggered their thyroid problem to begin with, and what is the best course of action? We have to ask ourselves, why are doctors not checking every aspect of thyroid function? Furthermore, why are we not addressing the thyroid and its function in our bodies as a whole? We have been compartmentalizing healthcare for too long and it is time to take a holistic approach. There are many areas for malfunction between the stimulation, secretion, and utilization of the active form of thyroid hormone, T3. There are many key players that perform an important role in this cascade and it is important to look at all of them in order to understand the larger picture of the patient’s thyroid function. Mainstream medical doctors are only looking at thyroid stimulating hormone (TSH) and some even look at T4 and T3. While these values are important, they do not give us the necessary tools to find the underlying reason for thyroid malfunction. In this short article, we will look at what lab values should be tested and what these values mean. There is a lot of misinformation out there on the internet so I want this to be straightforward and truthful for educational purposes. The thyroid responds to signals from the hypothalamus and pituitary in order to appropriately maintain to the body’s metabolic needs. The hypothalamus is responsible for managing hunger, thirst, sleep, hormones, body temperature and other important functions. It is also constantly monitoring thyroid hormone levels and when more thyroid hormone is needed, it sends out a signal known as thyrotropin releasing hormone (TRH). This hormone travels to the pituitary, which is our master hormone gland, and triggers it to release thyroid stimulating hormone (TSH). TSH is sent directly to the thyroid, which is then stimulated to produce more thyroid hormone, or T4 (6.) As mentioned before, standard thyroid testing will look at TSH and sometimes T4 and T3. TSH levels indicate how your feedback loop between the hypothalamus, pituitary and the rest of the body is doing. It does not tell us how the thyroid itself is functioning. For example, if the body has low levels of the active thyroid hormone, the pituitary will secrete more TSH in order to try to meet the demands for more active thyroid hormone. Therefore, a high TSH can indicate the underproduction of thyroid hormone and/or hypothyroidism. On the other hand, if the body has elevated levels of the active thyroid hormone, the pituitary will slow the secretion of TSH. Therefore, low TSH can indicate the over-production of thyroid hormones and/or hyperthyroidism. Another cause of low TSH or elevated T3 could be that the patient is on supplemental thyroid hormone. Supplementation of T3 or natural desiccated thyroid hormone can trick the body into thinking that it has enough T3 circulating and suppress the secretion of TSH. This may temporarily solve the problem, but symptoms usually reappear because the root cause has not been addressed. Sometimes we can still experience thyroid dysfunction with “normal” TSH levels (5). TSH also activates the enzyme necessary to create T3 and T4. This enzyme is called thyroid peroxidase (TPO) and it combines thyroglobulin, iodine and hydrogen peroxide. Through this process, the thyroid produces thyroid hormones. The end product is about 93% of the storage form of thyroid hormone, T4. The other 7% is T3, which is the active form of thyroid hormone (3). As you can see, the thyroid does not produce a large amount of the active form of thyroid hormone. It actually produces the storage form and conversion takes place later. The liver is responsible for converting about 60% of T4 to T3 through the glucoronidation and sulfation pathways. Any form of liver congestion or portal hypertension will interfere with the T4 to T3 conversion (4). Stress hormone function will results in another 20% being converted into a permanently inactive form of T3, known as reverse T3. Healthy gastrointestinal flora is responsible for converting the last 20% of T4 into T3 (4). The main hormone produced by the thyroid T4, which is a storage form of the hormone. It is circulated throughout the bloodstream and stored in tissues so that it’s available when needed. We measure Free T4 since it is unbound and more readily usable by the body. If Free T4 is high, this tells us that the thyroid is overactive and producing too much thyroid hormone. It could also mean that the conversion of T4 to T3 is not occurring in the liver and/or the gut. If Free T4 is low, this tells us that an underactive thyroid is an issue. However, it does not tell us if the problem is functional or autoimmune related. (5). When the body is in need of the active thyroid hormone, it converts storage T4 into Free T3. Free T3 can then attach to cell receptors and provide power for metabolic processes. If Free T3 is high, this means that the thyroid is overactive. If Free T3 is low, this means that the conversion process may be suffering. Hypothyroid symptoms can still be present even if TSH and Free T4 are within normal limits. This is one of the most common causes of an low thyroid function and a key marker when you test thyroid function (5). Two of the most important antibodies to measure include thyroid peroxidase and thyroglobulin antibodies. Thyroid peroxidase attacks the enzyme responsible for assimilating T4. Thyroglobulin antibodies also attack thyroid tissue and impair function. These are important biomarkers to look at when you test thyroid function. Chronically elevated levels of cortisol, in response to chronic stress, increases reverse T3 production. This mimics free T3 in the body but does not carry out the active duties for metabolic processes in the same way. This is considered a stress induced hypothyroidism. This is a very key measurement to process when you test thyroid function. When TBG increases it can increase the total T3 levels but decrease Free T3 levels causing a functional hypothyroidism. TBG levels can increase during pregnancy, hypothyroidism and liver disease. TBG levels can decrease during liver disease, hyperthyroidism, Cushing Syndrome, malnutrition, renal disease and medications (7). Low vitamin D3 is associated with thyroid disorders and should be addressed. Vitamin D levels play a very important role in immune regulation, calming down autoimmunity and keeping inflammation levels under control (8). A complete blood count will look in detail at red blood cell counts, iron stores and white blood cell levels. Both iron-deficient and B12 deficient anemia are a common finding with thyroid disorders. This portion of the test will also check for liver function. As mentioned before, 60% of T4 to T3 conversion takes place in the liver so we want to check for adequate liver function. Finally, this test looks at kidney health, digestive health and blood sugar regulation. Elevated homocysteine levels is an indicator of poor methylation function, which also complicates thyroid function (9). Homocysteine is an inflammatory byproduct of the metabolism of the amino acid methionine. Certain nutrients such as vitamin B2, B6, folate and B12 as well as magnesium and zinc are key for optimal homocysteine levels. These same nutrients are important for healthy thyroid function. C Reactive Protein (CRP) reveals the inflammatory status of the body. Increased inflammation impedes the T4-T3 conversion. I like to test this in order to assess what the inflammatory load is on the body and how that may be impacting the thyroid. The best test for CRP is the high sensitivity reading which is more accurate than standard CRP testing. Lowered magnesium is a common deficiency and will also effect thyroid function (10). Magnesium is critical for over 300 function in the body including the production of cellular energy. It is also very important for blood sugar stability and healthy adrenal-pituitary and hypothalamic function. A magnesium deficiency can lead to chronic inflammation and increased pituitary gland stress that alters proper TSH production. I always want to look at magnesium levels when I test thyroid function. Taking a standard thyroid hormone, such as Synthroid or Armour Thyroid, does not address the underlying cause. If thyroid problems are related to antibody, thyroid binding globulin or reverse T3 production, taking additional medications or hormones can actually promote more thyroid and hormonal disruptions. When we suspect a thyroid problem, this is the test we recommend. We sincerely hope that you find the solution to your thyroid problem and would be more than happy to help you through the process! 4. Nomura S, Pittman CS, Chambers JB, Buck MW, Shimizu T. Reduced peripheral conversion of thyroxine to triiodothyronine in patients with hepatic cirrhosis. Journal of Clinical Investigation. 1975;56(3):643-652. 5. Meyers, A. (2016). What Your Thyroid Lab Results Really Mean. Properly test thyroid function Link Here. As a certified clinical nutritionist, I have to say this is very well and clearly presented. Thanks for getting the word out concerning thyroid function and testing. So how do we get the proper test? Can we ask our doctor to peform this test? In my experience it is not that easy …. If we suspect we suffer from a malfunctioning thyroid but all tests appear “normal” is there something we can do, other than RX medication, to improve the fuction of our thyroid? I would recommend seeing a functional doctor, because most likely the tests are not normal…just not pathological. You may have functional imbalances. You can email our functional diagnostic nutritionist Haley at nutrition@drjockers.com and she can help. I live in the UK,and wonder how I can get these special tests done here. You should try to request them from your general physician or look for a functional medicine doctor in your area. When my last daughter was born 12 years ago I was told my pituitary glad wasn’t working at all but my thyroid was working fine…I still do not believe this…I would love to test them and find out what is going on in my body and possibly heal with diet…I don’t know if you can help ?